Last Monday morning, I made English muffins for breakfast. I mean, I "made" English muffins -- as in, from scratch. 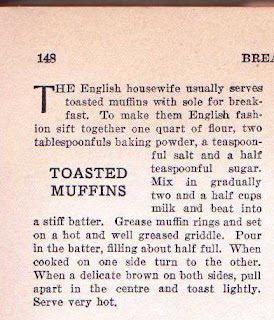 I had been wanting to make these for a while but lacked English muffin rings -- really, not even I had those in my kitchen drawer. But I was able to track some down at Sur la Table in SoHo, where I conveniently had a gift certificate, thoughtfully given to me by my good friend (and future boss) David. 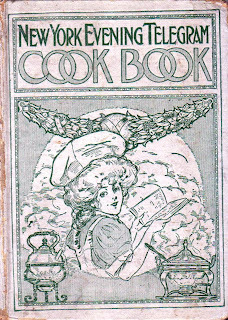 The recipe I used was published in the 1908 New York Evening Telegram Cook Book. 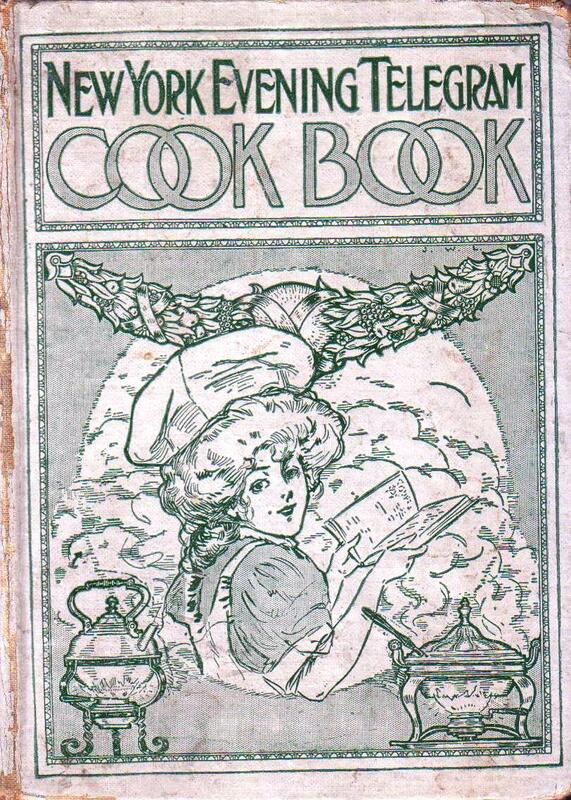 I don't know much about the genesis of the cookbook, as the six-page introduction is missing. I do know that there were a lot of New York daily newspapers at that time, maybe dozens (historian friends -- please correct me here), and now we're down to just three all, very sadly, barely hanging on. 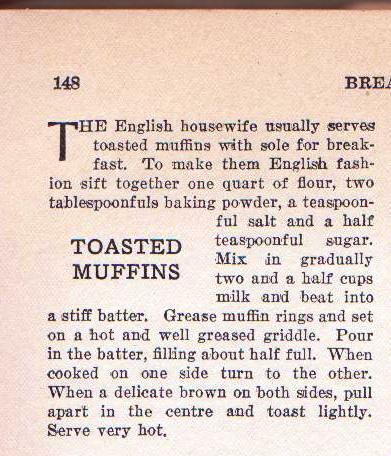 The recipe for Toasted Muffins, written in narrative form, begins: "The English housewife usually serves toasted muffins with sole for breakfast." Being an American, I served them with jam and butter. These were easy, but were they good? I was pleased to see that they looked just like English muffins, complete with nooks and crannys, but DH and I thought they tasted a bit, um, gummy. It was only several days later that I realized the problem -- and I'm almost embarrassed to admit it -- we forgot to toast the muffins! That would have surely addressed the slightly gummy texture and toasting seems to concentrate the flavor of bread, so I bet they would have been really delicious. I love English Muffins!! Why didn't you save me any!!??! feel free to drop these off for breakfast on your way to work any day! 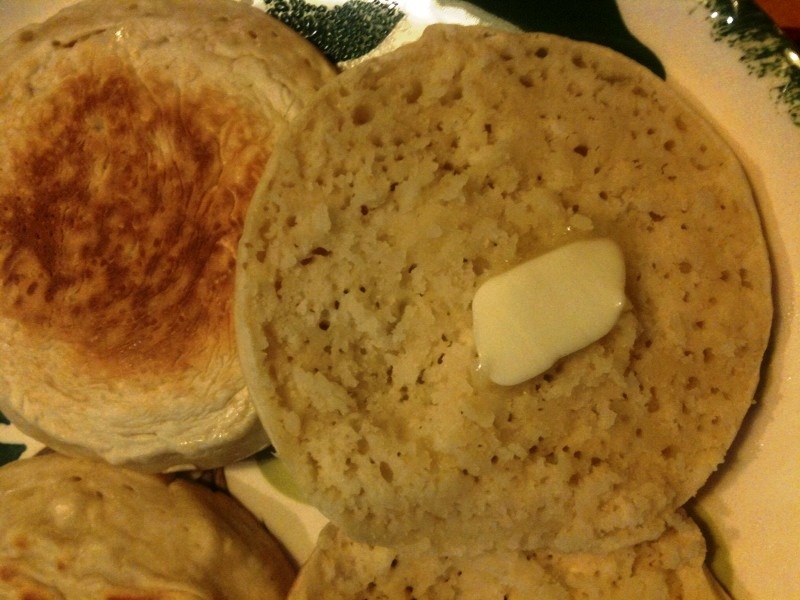 I used to make English muffins in my teens and they were delicious. The problem was it was a recipe from a high altitude cookbook and I have never had a sea level recipe, so will try these. I do remember the dough must have been less battery since I rolled it out and used biscuit cutters to make the rounds. @Glitta: They need to be eaten in the moment. Next time you're here for breakfast, I'll make them. 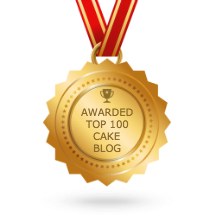 @Marcy: Don't have any of these, but I do have a lemon cake (which I'll write about soon). Let me know if you or Robert want some. 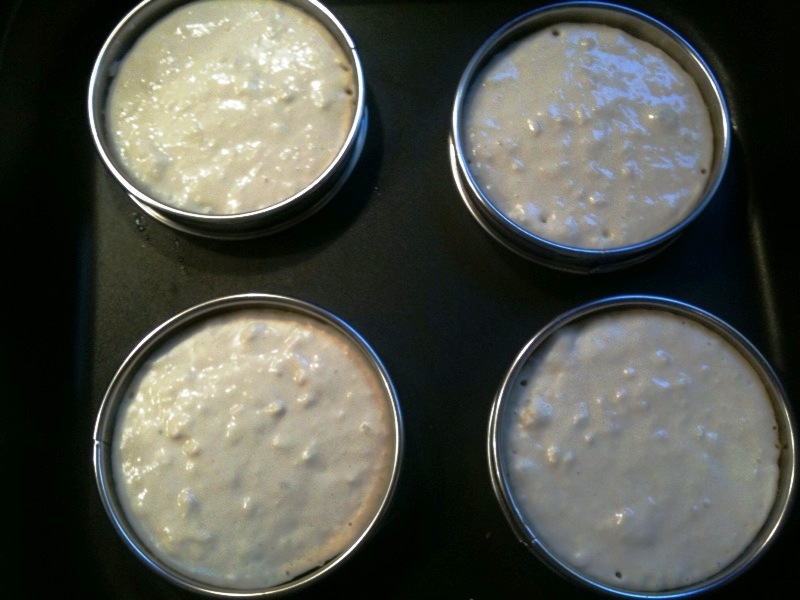 @Melissa: I've read about the roll-out English muffins, and apparently the pour-into-the-mold type are considered the more authentic, which does not mean the more delicious. A "quart" of flour? Isn't that a liquid measure for a dry ingredient? How do you measure that? 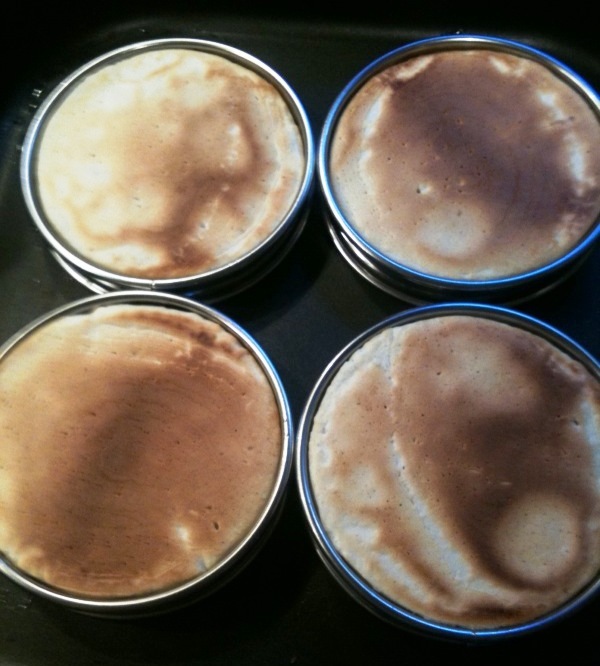 @luckygalnj: It is an unusual measurement, as so many are in the recipes I use. I looked it up on the internet and found that four cups equal one quart so that's how I measured. It seemed to work.